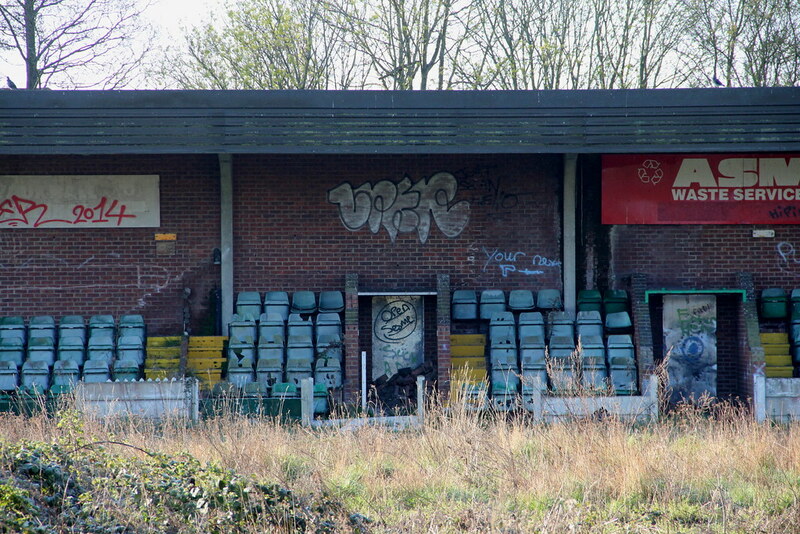 Aylesbury United FC were originally formed back in 1897. 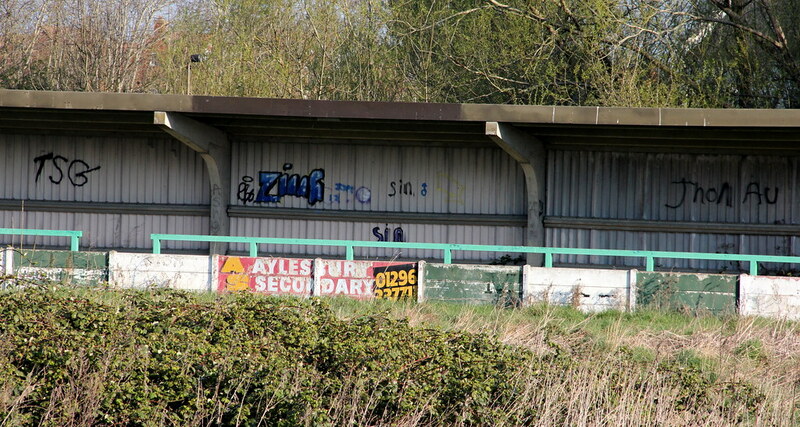 Currently residing in Division One Central of the Southern League, their former ground, at Buckingham Road, is located just over a mile from Aylesbury, on the A413 to Buckingham. 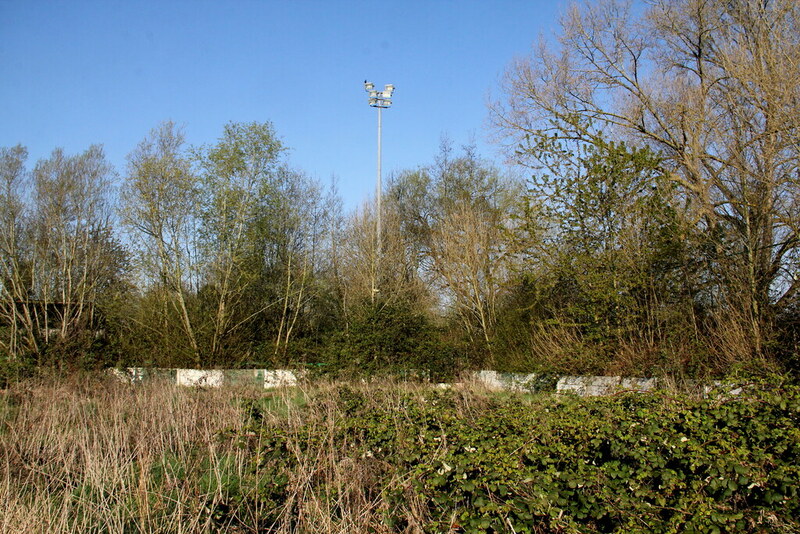 Aylesbury United moved to Buckingham Road in the mid-1980's, following their departure from their previous home at Turnfulong Lane, a venue where they played for 50 years. 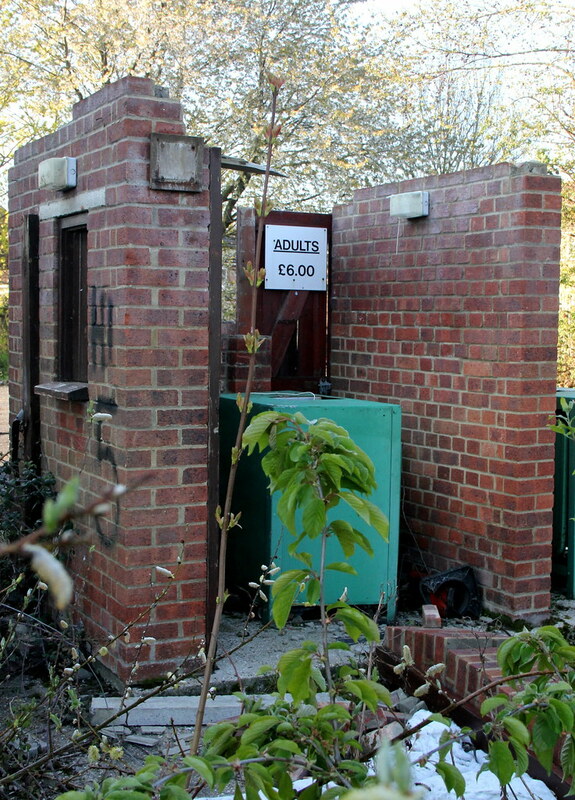 In between the 2 grounds, they had to ground-share, playing at RAF Halton and then Tring Town. 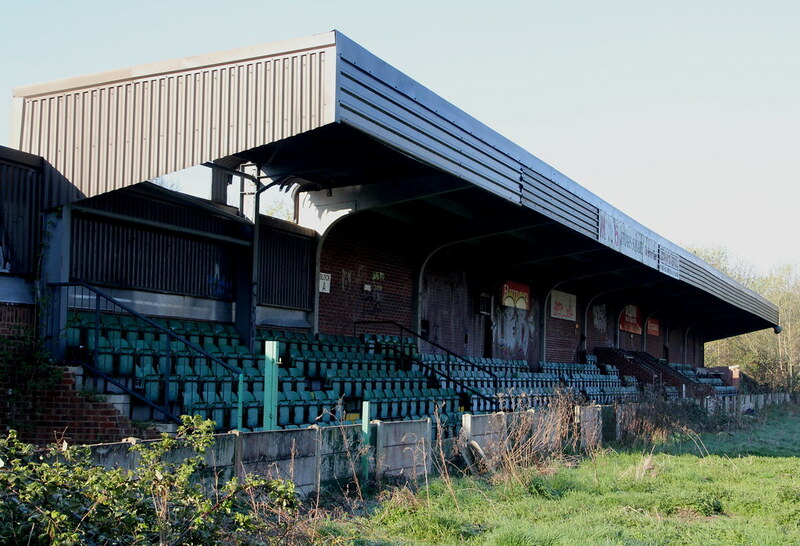 Back then Buckingham Road was a great move for the club as it boasted a main stand that could hold around 400 supporters while the opposite covered terracing had a capacity of 500. 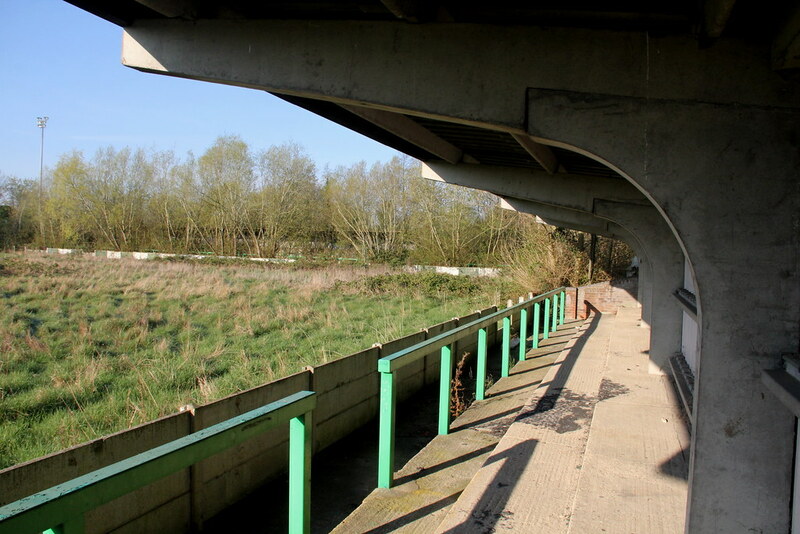 With further cover behind the goal for around 500 more and the rest of the ground’s uncovered terracing with space for a further 4,000 supporters, the ground’s overall capacity stood at around the 5,400 mark. 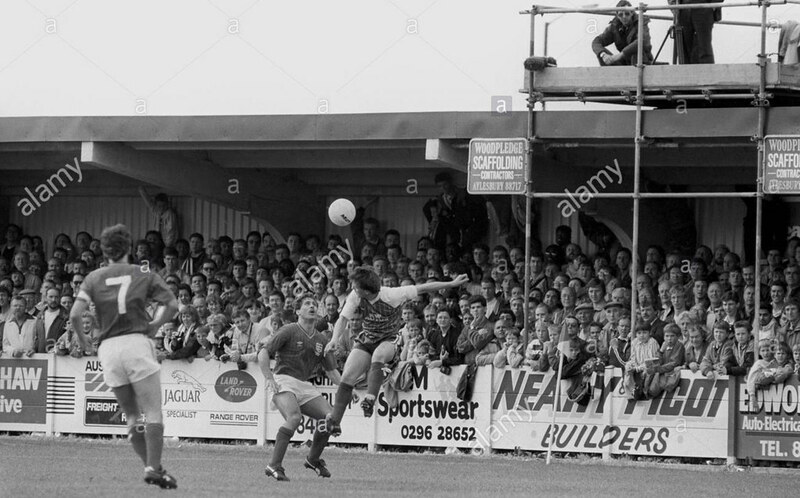 The next season (1988/89) their first appearance in the top-flight of the non-league pyramid didn’t last long with them finishing second bottom and getting relegated from the Conference. 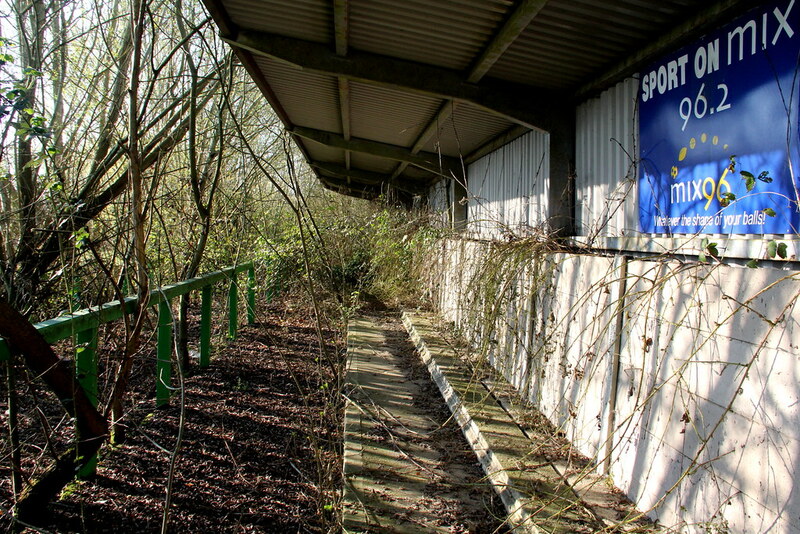 The ground saw its fair share of FA Cup drama too. 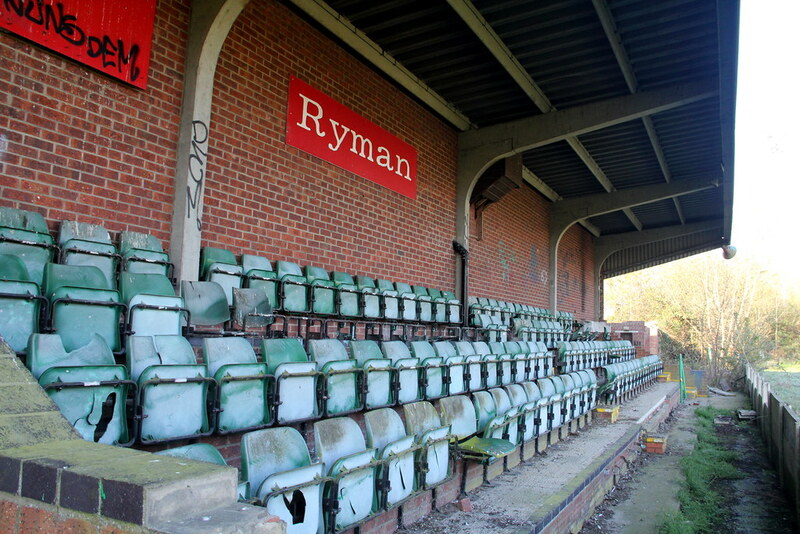 Between 1985 and 1993 the club qualified for the 1st Round every season, reaching the 2nd Round on two occasions and, in 1995, they got to the third round when they lost 4-0 to QPR. The aforementioned Cliff Hercules was something of a local hero for The Ducks with 301 goals for the club in 669 appearances (both records in their own right). In 2000 he returned to the club to manage them, sealing their return to the Isthmian Premier. 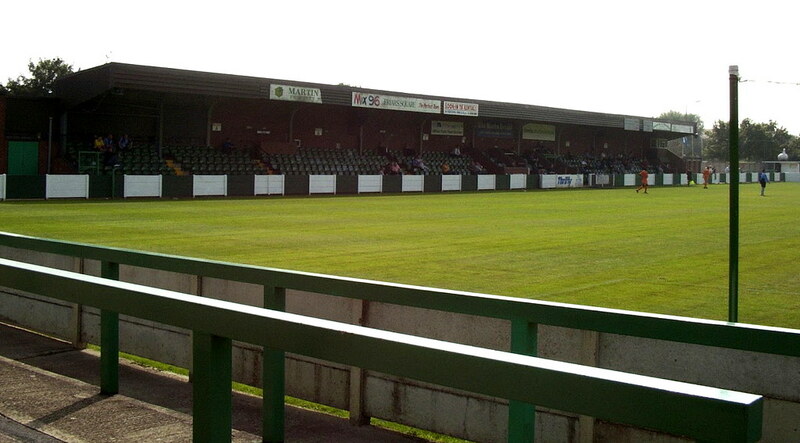 Other claims to fame are footballer alumni that include Lee Cook, Jermaine Darlington & Dwight Marshall. 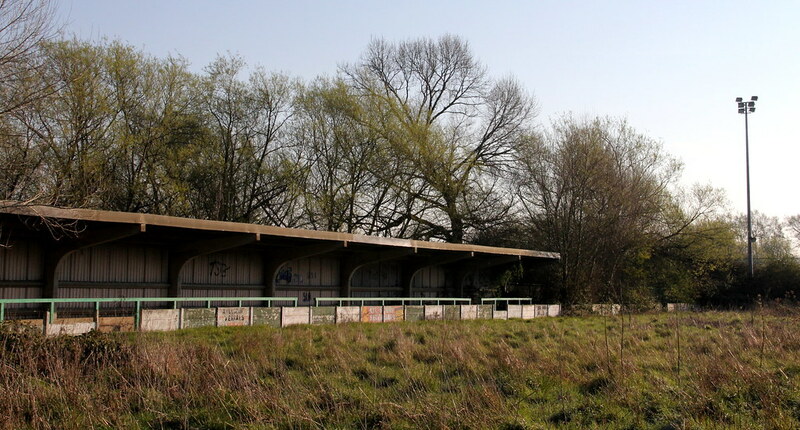 The site has been the subject of several planning applications since The Duck’s eviction in 2006, which has seen them playing at Chesham United and more recently Thame United, where they currently reside. 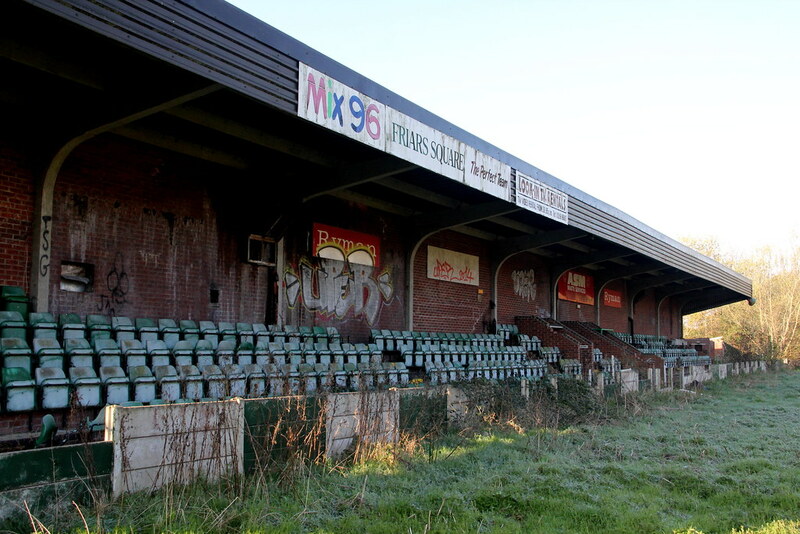 Plans were submitted to demolish the old ground and turn it into houses and a care home. 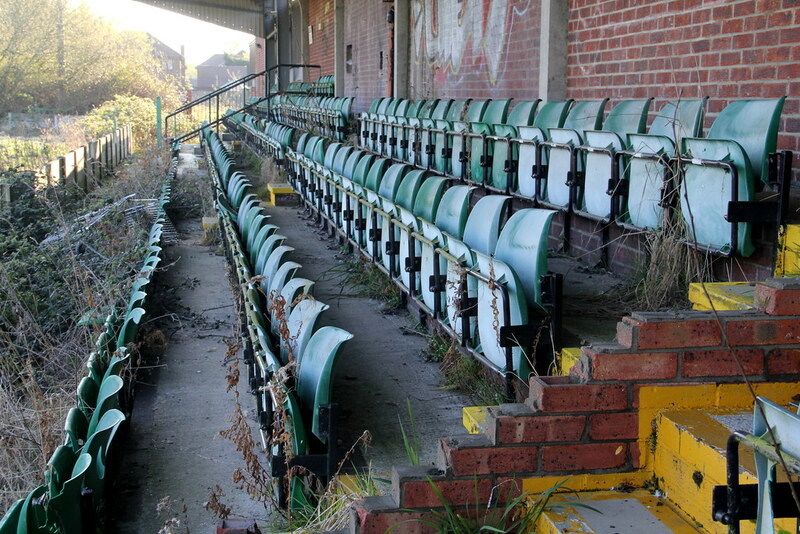 However no less than 13 years later after they vacated the ground, it still sits empty, unused and in a state of disrepair and subject to vandalism. 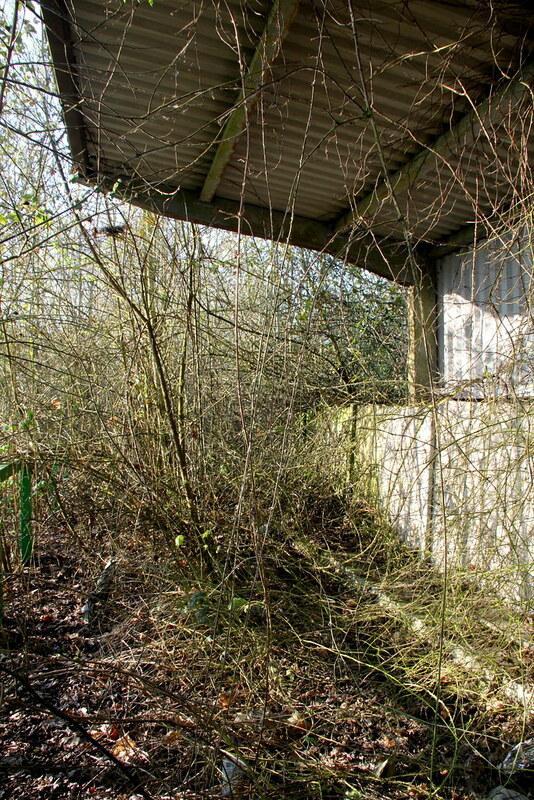 The Ducks' former groundsman Pete Ash, a man renown for keeping what was regarded as one of the finest non-league playing surfaces in the country, would despair if he saw the current state of what was once his pride and joy. 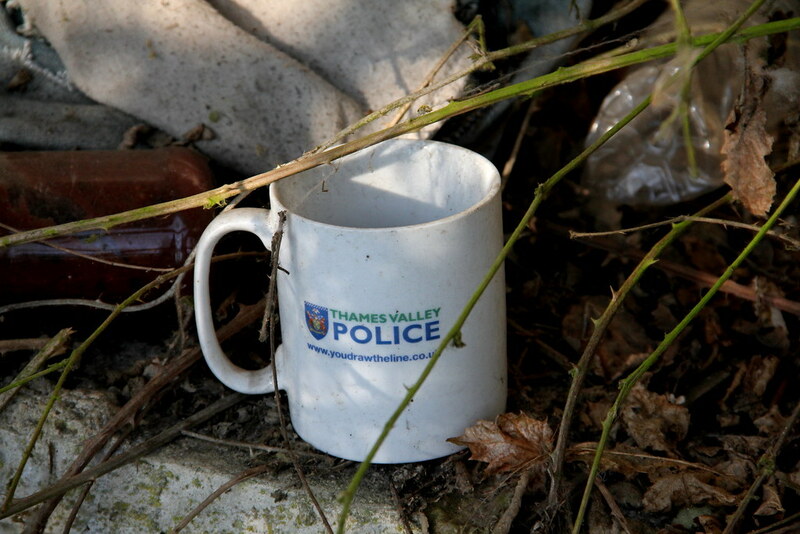 With a morning free to explore around the Thame area a search of Oxfordshire turned up very little. 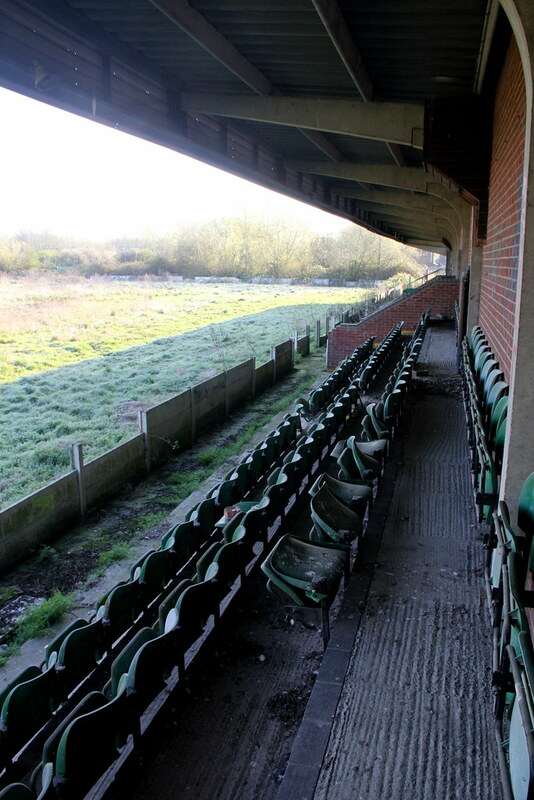 So widened the search to Buckinghamshire and a few things popped up including Aylesbury United’s old ground. 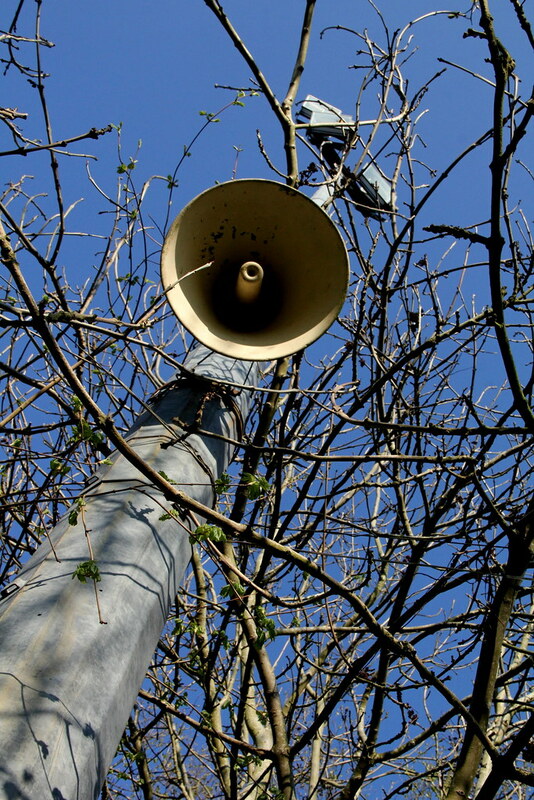 Several recent reports hinted that it might still be a goer so on a very cold April morning off I set. Having parked-up cased the front and its close proximity to housing lead me to a more discrete but relatively easy way in. In truth the place has seen better days and there isn’t loads to see. 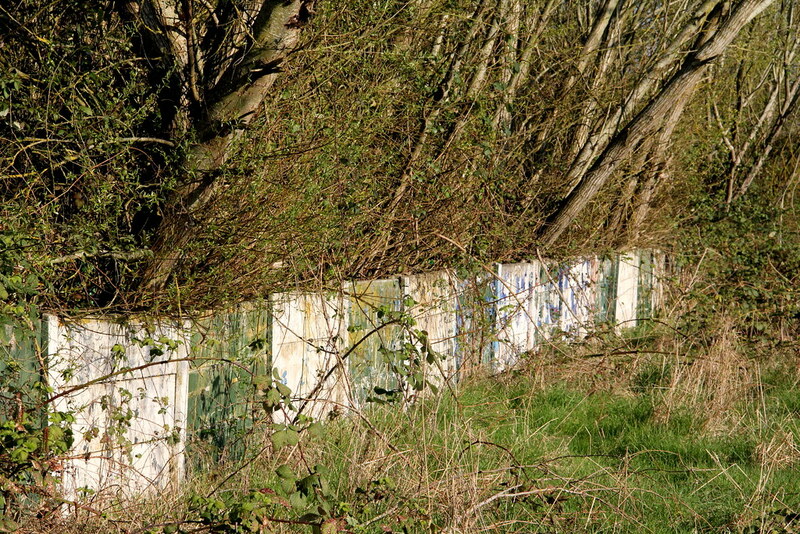 The place does have an atmosphere to it though and the overgrow terraces were quite photogenic. 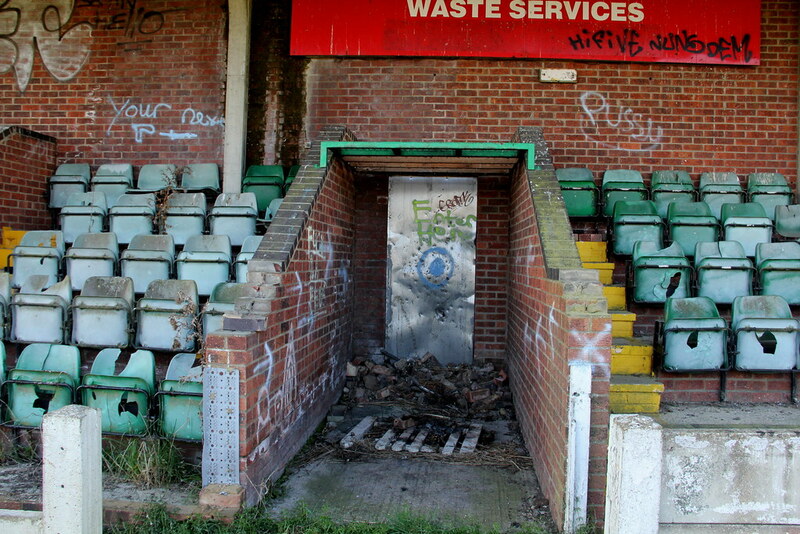 The best bit is the main stand, however the turnstiles have been totally smashed which is a shame. 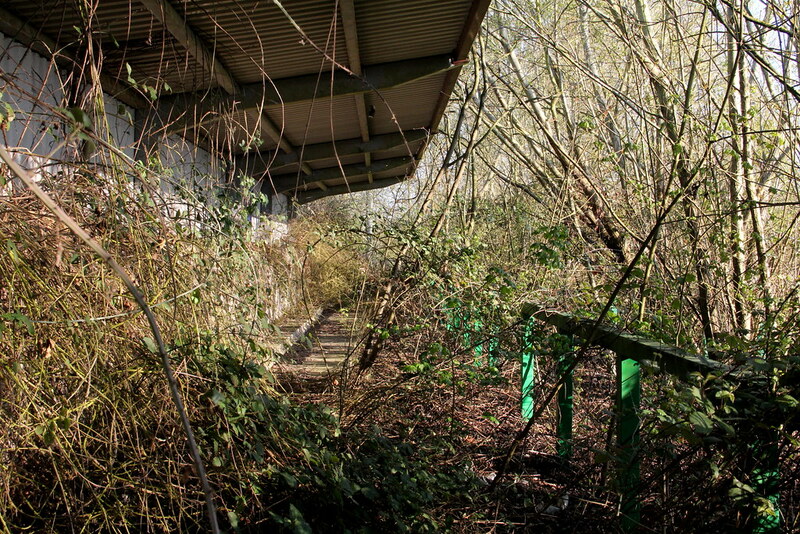 The clubhouse and changing rooms aren’t anything special architecturally and were completely nailed down. 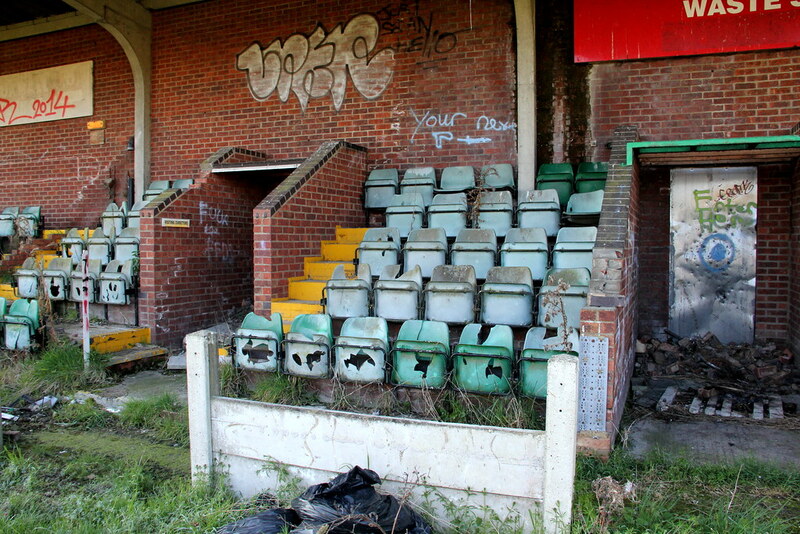 That said, it was my first derelict footy ground and it was nice for an hour’s wander. 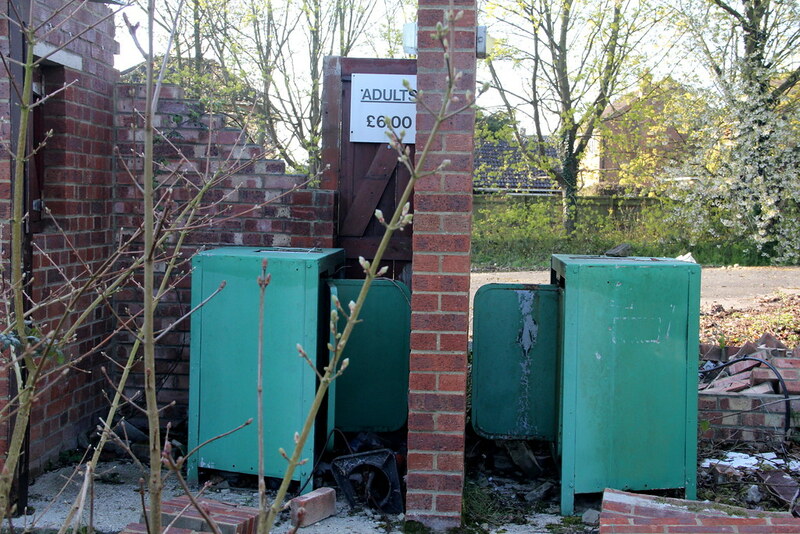 The turnstiles remain but the walls don’t! Cheers mate. 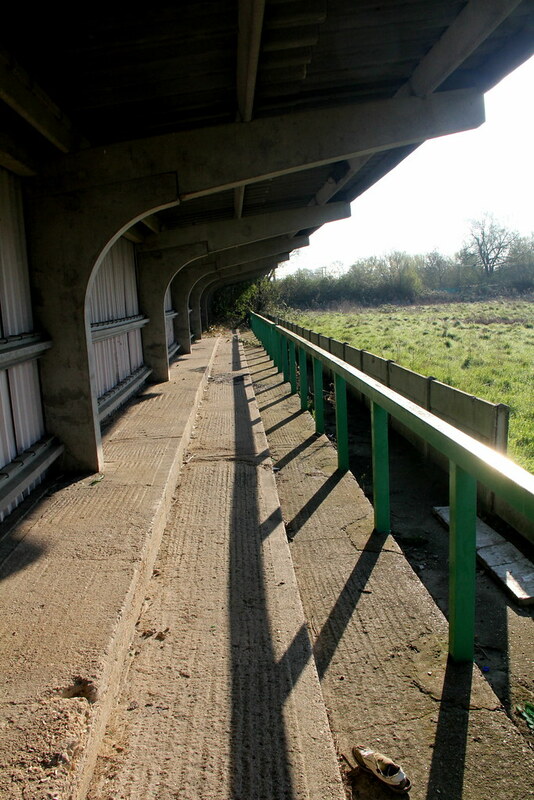 Yup...according to Googlemaps Stand Athletics old stand looks like it's still there! Like that. Nice one fella. Wow, ages since I've seen this. Must be eight years since I explored that although didn't see much as I only went because @True_British_Metal wanted to climb one of the light towers at night. 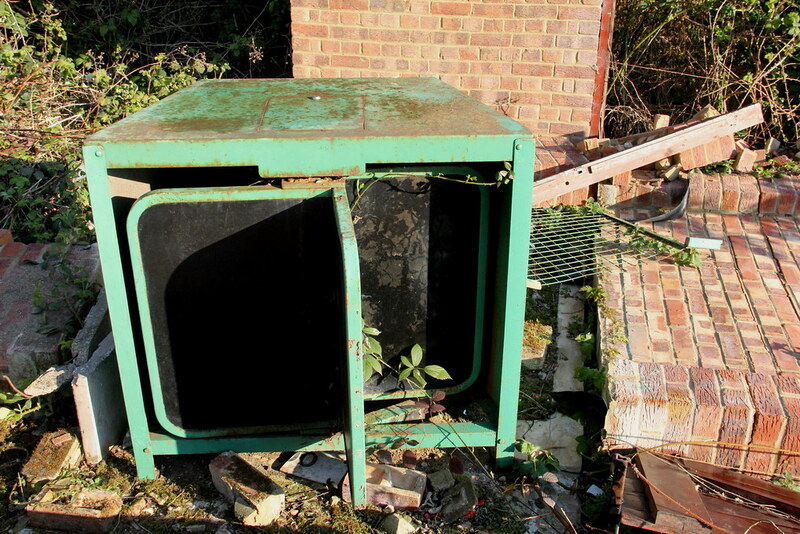 General - Have you explored a former nightclub? I'd like to hear from you! 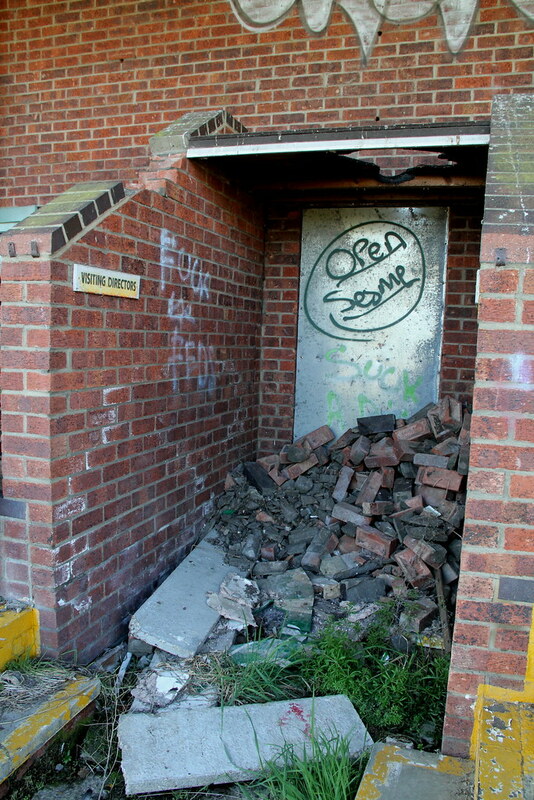 Report - Hugh Mason Hall (Former Public Baths), Ashton-under-Lyne - June 2011.